Investors who open a foundation in Belize may carry out a number of business and trade activities. This legal structure can be used to hold assets in its own name and it has simple incorporation and revocation procedures. The incorporation, management and use of such a legal entity are governed by the International Foundations Act. Our Belize company formation specialists can give you complete information on the characteristics, advantages, and uses of foundations in the country. 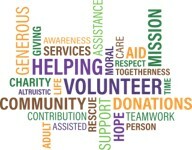 A foundation may be formed for charitable or non-charitable purposes as well as for ordinary purposes. The foundation in Belize enjoys a tax-free regime. This is an important characteristic for those who want to open offshore company in Belize. Because it has no tax liabilities, it lacks any accounting and auditing requirements. The foundation has a broad usage spectrum, which includes the ability to operate bank accounts, hold assets and buy or sell real estate. Foreign laws or judgments cannot render any Belize foundation as void. This is a simple business structure, with very few administrative and maintenance requirements. Foundations in Belize are separate legal entities. This is an important distinction for all investors who want to open company in Belize. - the identification details of the founder, secretary, beneficiary, etc. - the stated purpose and the Bylaws. Investors should know that foundations in Belize cannot be used to own property or assets and must be licensed in Belize for the purpose of conducting most banking and insurance activities. For more details on how to open a foundation and for specialized assistance during this process, we invite you to contact our Belize company registration agents.